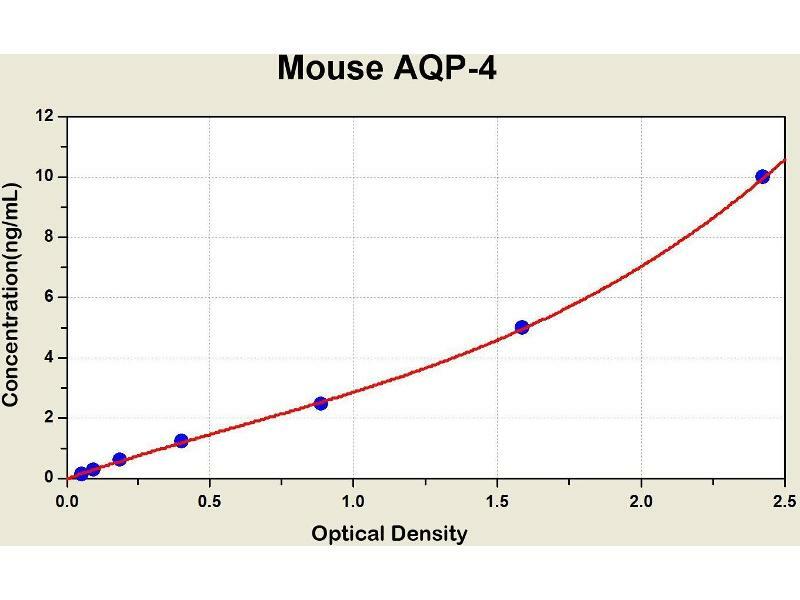 Diagramm of the ELISA kit to detect Mouse AQP-4with the optical density on the x-axis and the concentration on the y-axis. 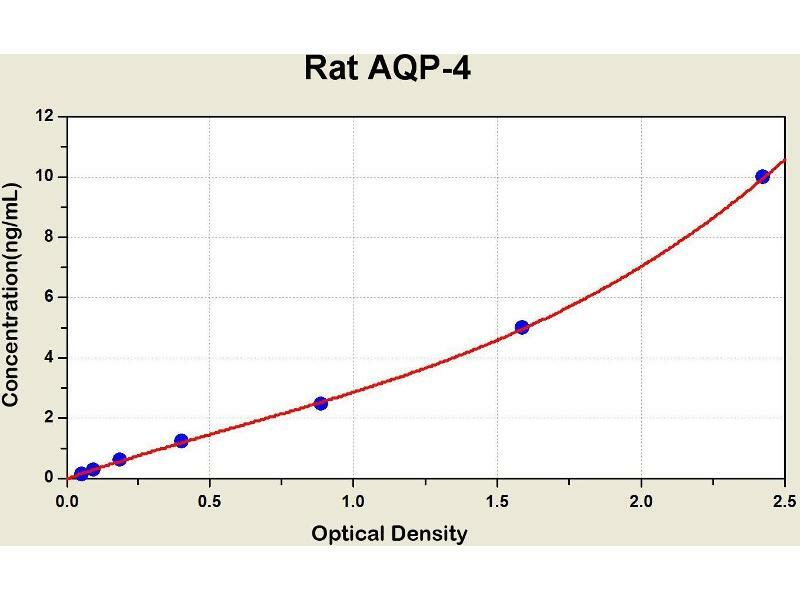 Diagramm of the ELISA kit to detect Rat AQP-4with the optical density on the x-axis and the concentration on the y-axis. 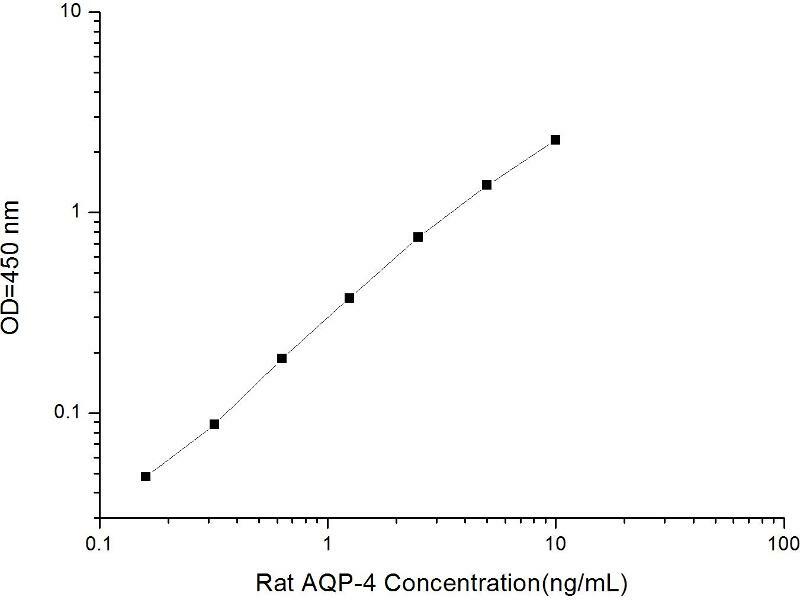 This gene encodes a member of the aquaporin family of intrinsic membrane proteins that function as water-selective channels in the plasma membranes of many cells. 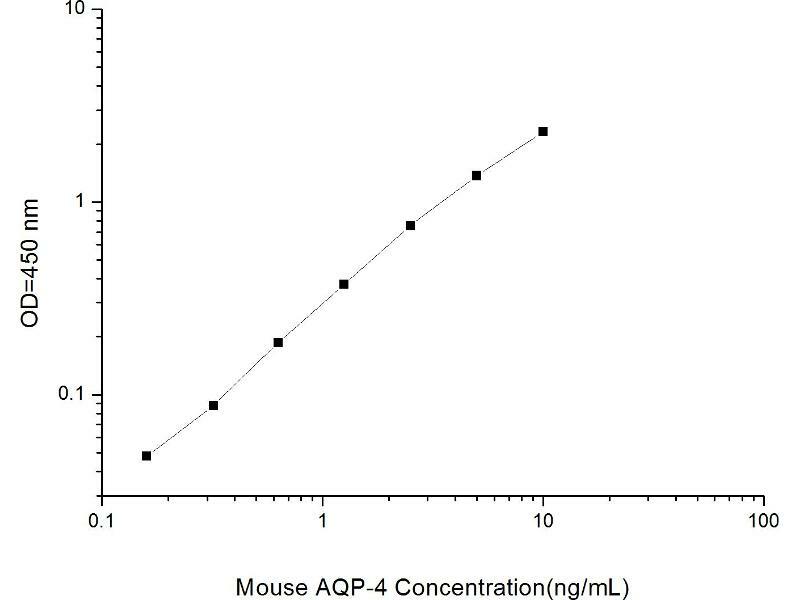 The encoded protein is the predominant aquaporin found in brain. 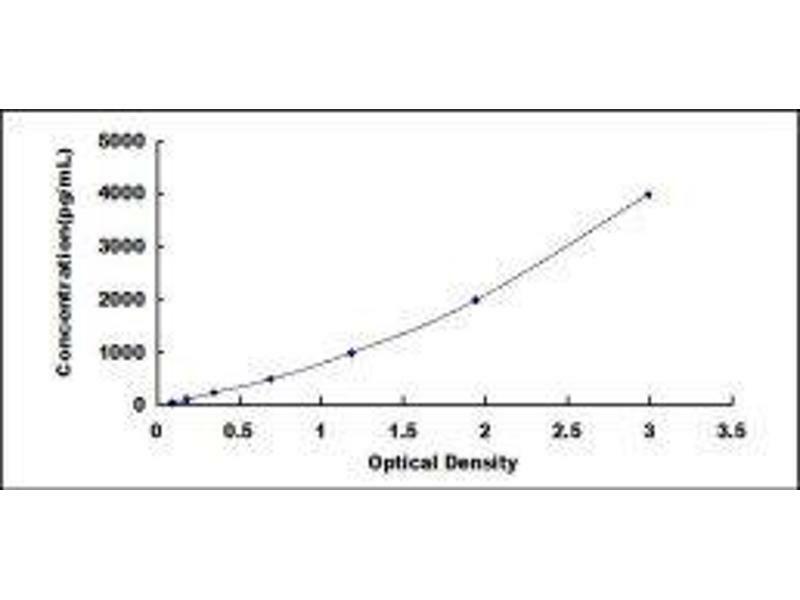 Two alternatively spliced transcript variants encoding distinct isoforms have been found for this gene.